This textbook is suitable for the following courses: upper-level management courses. Focusing on Organizational Change offers an alternative to the traditional approach by focusing on building the entire organization in anticipation of future pressures to change. 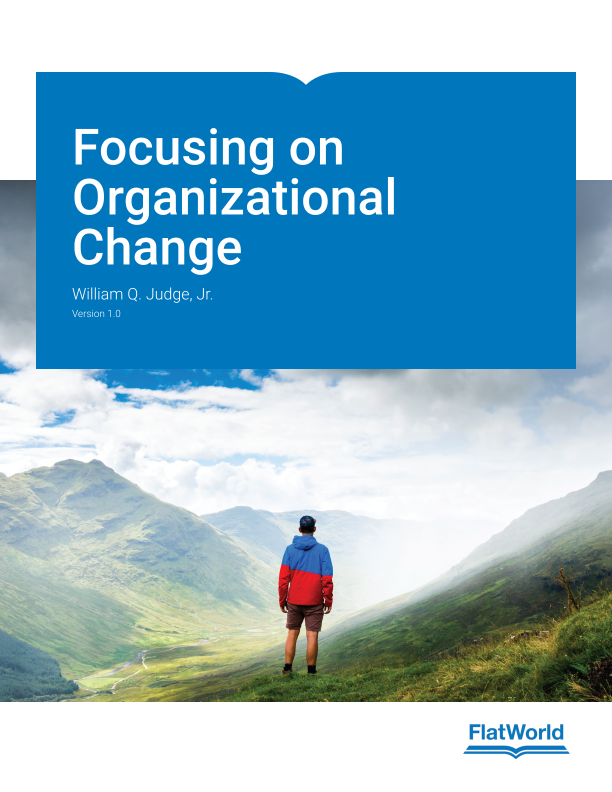 Based on systematic research of more than 5,000 respondents working within more than 200 organizations or organizational units, this book offers a clear and proven method for diagnosing organizational change capacity. While building organizational change capacity is not fast or easy, it is essential for effective leadership and organizational survival in the 21st century. An alternative approach to the subject. In-depth research over the past decade. Chapter 2: What Is Organizational Capacity for Change? William Q. Judge, Jr. is the E.V. Williams Chair of Strategic Leadership and Professor of Strategic Management in the Management Department at the College of Business & Public Administration at Old Dominion University. Dr. Judge’s teaching, research, and consulting expertise is in the area of strategic leadership and organizational change. Dr. Judge currently serves as the Editor-in-Chief of Corporate Governance: An International Review.